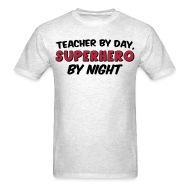 Nominate a teacher for a Costco shopping spree! I recently received an email letting me know that now through Saturday August 10, people everywhere are invited to nominate their favorite teacher to give them a chance to win a 3-minute Costco shopping spree furnished by RetailMeNot. Entry details here. Austin, TX, July 10, 2013 — RetailMeNot.com (www.retailmenot.com), the largest digital coupon website in the United States, today launched the “Do the Math” campaign, an in-depth review of the costs associated with education in the United States. The goal of the campaign is to increase awareness about the impact of nationwide cuts to education funding and to demonstrate how savings techniques on school year spending can be part of the solution to creating a more beneficial experience for students, parents and educators. According to a study from the Center on Budget and Policy Priorities, elementary, middle and high schools in 26 states received less state funding in the 2012–13 school year than they did the year before, and in 35 states, school funding was below 2008 levels. So, to kick off the multi-week campaign, RetailMeNot released findings from a Shoppers Trend Special Report that revealed the impact of these budget cuts on schoolteachers. According to the report, the cuts have forced teachers to pay for their own supplies to effectively teach students at the elementary, middle and high school levels. These expenditures could pose a significant financial burden on teachers, considering that the average salary for teachers in the 2012–2013 school year, as reported by the National Education Association, is estimated to be $56,383. 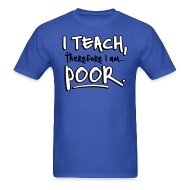 · Nearly 9 in 10 (87%) teachers have had to pay for classroom supplies for their students using their own money. · Nearly half (45%) of K–12 teachers report that their school does not provide them with all the classroom supplies they need to help them do their jobs. o Soliciting help from parents to contribute additional funds to make up for any supply deficit. The survey also found that more than 2 in 3 (67%) teachers surveyed have seen programs cut or reduced from their schools in the last three years. Among those who’ve experienced such cuts, the arts have suffered the most, with music (50%), art (49%) and theater (36%) topping the list. · This problem seems to be more prevalent for schools in the Western part of the country, where 8 in 10 (80%) teachers report cutbacks in the past three years, versus 60% of their counterparts in the rest of the country. · Similarly, 74% of teachers in urban communities say that reductions have happened in the last three years, compared with 63% of K–12 educators in more rural areas. Almost 9 in 10 (87%) K–12 teachers report that, at least once, they’ve had to pay for classroom supplies using their own money. · On average, 45% of teachers in public and private schools who have spent their own money on supplies would be willing to spend more than $100 in a single school year to guarantee that they have the items they need. · Public schoolteachers appear to be the most willing to spend more of their money on purchasing school supplies with 47% willing to spend more than $100 on school supplies for their students. What’s more, close to 3 in 4 (74%) teachers can name at least one thing they’d be willing to spend less money on in their personal lives to ensure that they could buy all of their desired classroom supplies. · A majority (53%) of this group would cut back on eating out, 45% would spend less on entertainment, such as tickets to concerts or sporting events, and another 35% would be willing to forgo clothing or shoe expenses in order to purchase classroom supplies if necessary. · More 18- to 34-year-old teachers than those 35 and older (85% vs. 64%) would cut back on a personal expense for the ability to purchase items they need for the classroom. The prospect of having to pull hard-earned dollars from their own pockets to purchase needed supplies evokes a range of emotions: almost half (48%) of respondents would feel frustrated; 39% would feel disappointed; and 15% would have feelings of anger. Frustration is more common among women than men surveyed (53% vs. 38%) and among teachers who have kids themselves (55% vs. 44% of teachers without children). Do you know of a teacher that’s in need of supplies to better serve their students? Create a YouTube video nominating your favorite teacher to give them a chance to win a 3-minute Costco shopping spree provided by RetailMeNot! For official rules and contest details visit www.retailmenot.com/contests/ now through Saturday, August 10, 2013 to submit your nomination. To learn more about the RetailMeNot’s “Do the Math” campaign, follow our Facebook page at www.facebook.com/retailmenot or via Twitter at www.twitter.com/retailmenot (@retailmenot #dothemath). To access savings on everything from school supplies to clothes to electronics and dorm room gear, visit www.retailmenot.com/backtoschool. The Teachers Survey was conducted between May 22 and May 28, 2013, among 325 K–12 teachers in the U.S., using an email invitation and an online survey. Results of any sample are subject to sampling variation. The magnitude of the variation is measurable and is affected by the number of interviews and the level of the percentages expressing the results. In this particular study, the chances are 95 in 100 that a survey result does not vary, plus or minus, by more than 5.4 percentage points from the result that would be obtained if interviews had been conducted with all persons in the universe represented by the sample. The margin of error for any subgroups will be slightly higher. Howdy, folks! 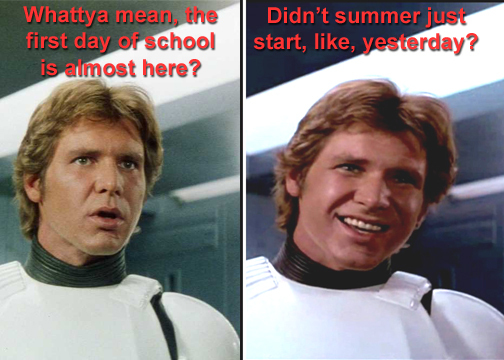 Last week's Celebrity Lesson Plans with Harrison Ford -- and many others submitted by awesome readers -- proved to be a lot of fun, so here we are doing it again! Social Skills Teachable Moment -- There's no crying in baseball!! If anyone wants to play, leave a comment saying you're in, and I'll assign you a celebrity to try. Just be sure to link back to the LMG page so we can all see what you came up with! Earlier this week, I presented a new game/challenge for my avid readers -- Celebrity Lesson Plans! I started the ball rolling with Harrison Ford. And while writing that last sentence, I realized that I totally missed out on using "Outrunning giant cave boulders" as an awesome PE activity. Nevertheless, after presenting ol' Han Solo himself as a case study, I opened the field to submissions from others. And let me tell you, I got some GREAT ones in return! Today's post showcases several of those examples, and for anyone who I missed or who didn't get to participate this week, I'll try to do it again real soon! Language Arts -- Phonics: Do you understand the words coming out of my mouth? Math -- If a car leaves LA at 5:00...Rush Hour math. Science -- Evolution: Did Kung Fu Men evolve from Kung Fu Pandas? History -- The Shanghai Knights of the Round Table. Social Skills Teachable Moment -- Don't be The Spy Next Door. P.E. -- Stunts 101: The 10ft drop. Art -- Paint the Fence. Up Down. Up Down. Math -- A=πr^2 : Is your “Circle of Trust” big enough? History-- The End of Prohibition in America: Is Al Capone a true hero? Social Skills Teachable Moment-- Bullying 101 - Shoot the Pillow: How to express your anger more productively. Music -- Music to “Self Soothe” by. Social Studies--Friends: How to maintain relationships with friends when only one third of the group have successful careers. Language Arts: Exclamatory statements, ie "Norm!" Science: The Chemistry of Beer, Cheers! MATH: to master the fraction 1/2 or 50% as the boyfriends/husbands are half her age. SOCIAL STUDIES: to locate on a map of the world all the jet-setting places she goes. Math -- How Many Henrys? Social Skills Teachable Moment -- The ethics of verbal statements. Language Arts - Rhyming Put-Downs from the 1970s (i.e. Off my case, toilet face and Up your nose with a rubber hose). Math - The Metric System and Its Effects on Burger-Naming Conventions in France. Science - Epidemiology/Health - Exploring the Greater Incidents of Fevers on Saturday Nights. Social Studies - How to Use a Mechanical Bull to Save Your Marriage. History - In the year 2000, the Earth was conquered in 9 minutes (although it seemed like 1 hour and 57 minutes or perhaps a soul-obliterating eternity). The movie industry lost millions-upon-millions of dollars. Also, a world's population lost their minds and their will to be conscious. Physical Education - The Fine Nuances of the Hand Jive. Social Skills Teaching Moment - Do you have 5 minutes for a "free" personality test? Hey all, it's time for a new game called Celebrity Lesson Plans! I started this on Facebook, but if you don't have a FB account, that's ok, we can play right here! I am going to choose a celebrity then name some activities and subjects that person might teach. Today, we'll start with Harrison Ford. Science -- Do Replicants walk among us? History -- Did Cowboys and Aliens really ever coexist? Social Skills Teachable Moment -- Being a good sport. Letting the Wookiee win. While my wife and I are celebrating our 3rd wedding anniversary today (What material is that? Horsehair? ), I'm putting up a guest post from Alexandra Mayzler, president of Thinking Caps, an educational support group in NY and TX. 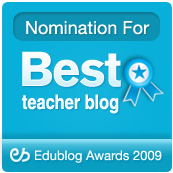 Her post is titled, "5 Ways to Help Your Kids Learn Study Skills in the Classroom." 1. Encourage the use of planners When announcing assignments, have students pull out planners to write down due date on their calendars. This will get them in the habit of writing down important deadlines on their own. 2. Encourage students to form study groups On the first day of school, choose 3 study buddies and get their contact info. Your buddies will be your point of contact incase you miss class so you are always prepared. You can also encourage students to study with their buddies for upcoming exams. 3. Have a “Back to School” Organization Party during the first week of school As a getting to know you/team building activity, have your students divide into groups and organize their binders together. They can make it fun by decorating the folders and creating a system (color coding, tags, etc.). This will start the year off right with organization and act as a distractor when class assignments have not been finalized. 4. Have students “peer review” each other’s notes from class Students with different learning styles can learn from each other by reviewing their peer’s notes. One student may have caught something another student missed, this will help fill in the gaps when reviewing for exams. 5. Include students in classroom tasks For older classrooms, divide the class into 5 groups. Each day a group is responsible for creating a pop quiz based on the lesson from the day before. All students in each group must think of a question. This encourages students to prepare for the quizzes as well as listen to the lesson so they can think of question. For a younger classroom you can create different roles that students play each day (leader, assistant to the leader, teacher assistant, etc.). Each student can be assigned a role throughout the semester or kids can choose sign up for the different roles. This will encourage the students to participate and they will feel important when in the spotlight. It is our hope that by including these strategies in your daily classroom routine, students will begin to include study skill strategies into their everyday learning and make that transition from summer sunshine to the classroom, a little bit smoother. Alexandra Mayzler is the founder of Thinking Caps Group. She is the author of several books including SAT Demystified and Tutor in a Book. Alexandra lives in New York and spends her free time thinking about how to make studying easier, more interesting, and above all, enjoyable for her students.